The Mossberg 590M box magazine fed pump action shotgun was first announced in early 2018, as a further evolution of the famous Mossberg 590 line of shotguns. The Mossberg 590 is highly popular in the USA and abroad for tactical, sporting and hunting applications. This variant features a redesigned feed system that uses detachable box magazines. 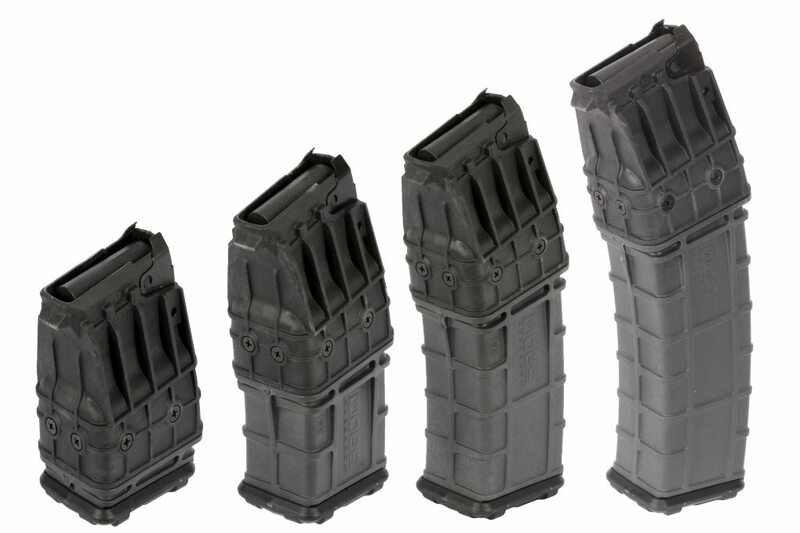 This improvement allows for much faster magazine reloads than is possible with the original tube feed system. It also allows for a fast change of ammunition type for immediate use, i.e. from slugs to birdshot when hunting or from buckshot to breaching slugs or less-lethal rounds when solving various tactical law enforcement problems. It must be noted that this model came to the market at almost the same time as a very similar Model 870DM shotgun from Remington, O.F.Mossberg’s major competitor. Both American makers came quite late with this concept, because similar pump-action, box magazine fed shotguns have been available from overseas gunmakers for many years; for instance the Italian Valtro PM-5, Russian IZH-81KM, Chinese Hawk Type 97-1 and many Turkish guns. The Mossberg 590M shotgun uses a basic Model 590 design with an aluminum alloy receiver and manually operated slide – “pump” action. Its major departure from previous Model 590 versions is the omission of the cartridge lifter and an enlarged opening at the bottom of the receiver, serving as a box magazine housing. The underbarrel tube is empty and serves as a guide for the sliding forend and as a mounting point for the barrel. Detachable magazines are made from impact resistant polymer and hold 5, 10, 15 or 20 rounds in a double stack, single feed configuration. The magazine release button is located at the front of the trigger guard and just behind the magazine housing. Magazines are inserted and removed via “AK-style” tilt and lock movement. Mossberg 590M shotguns are available in a number of configurations with various barrel lengths and stock types, including “buttstock-less” 590M Shockwave versions.